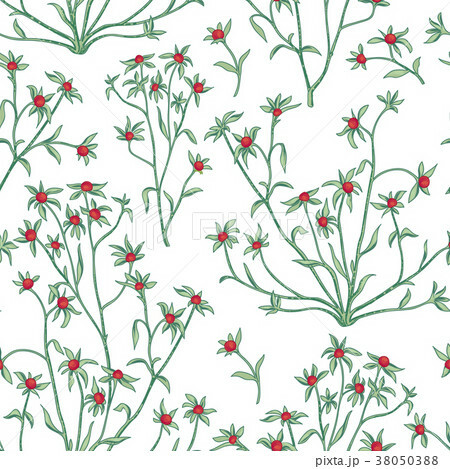 Floral leaves and berry seamless pattern. Wild nature retro background. Flourish wallpaper with plants.